WERE ALL BRAVE UNTIL WE REALIZE THE COCKROACH HAS WINGS. - ProudMummy.com the Web's Community for Mums. Home » Memes » Pets & Animals » WERE ALL BRAVE UNTIL WE REALIZE THE COCKROACH HAS WINGS. 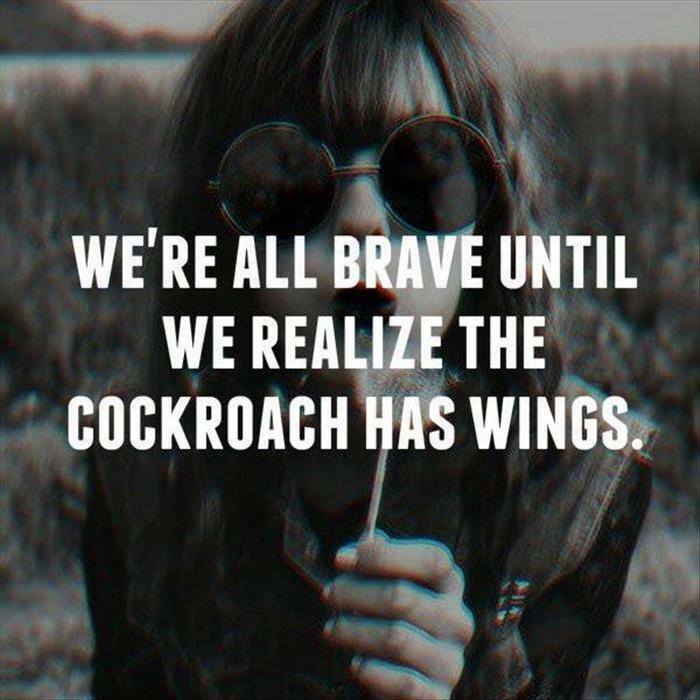 WERE ALL BRAVE UNTIL WE REALIZE THE COCKROACH HAS WINGS.